We got home last night about 9 pm, after 11 hours on the road. This morning I was up and in a weaving class at 9:30 am. 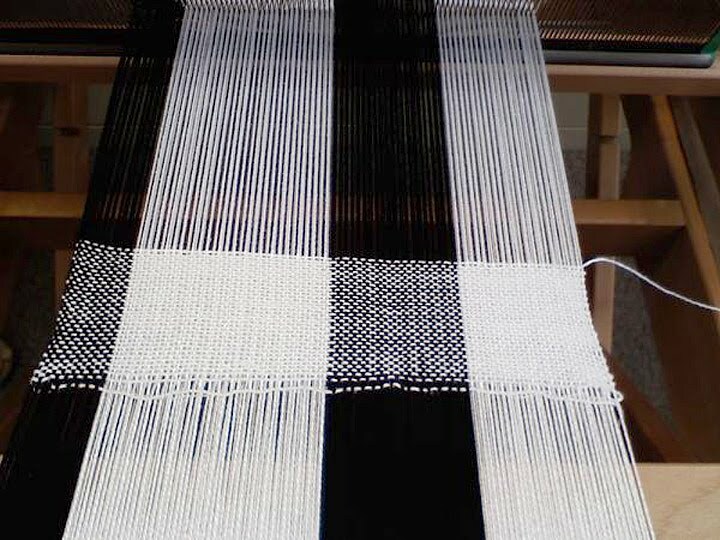 I've been looking forward to this doubleweave class for a long time; couldn't let a little thing like exhaustion keep me from going. 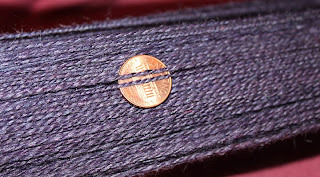 I had a hard time wrapping my head around the doubleweave concept. How you can weave two layers of fabric at the same time and unfold them into a single layer twice the original width. 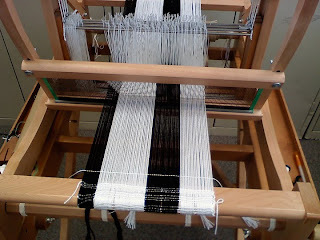 This 8" wide warp will become a 16" towel when I take it off the loom. It's the coolest thing to see take shape. Not sure I'll do a lot of this - it's pretty fiddly - but I love knowing how it works. Our trip to Pt. 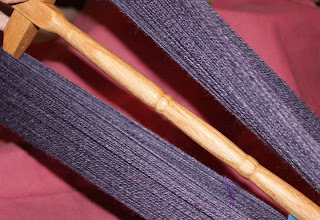 Arena put us a few days behind on following the Tour de France, so we watched two stages tonight while I plied the two bobbins I'd spun before we left. 240 yards of probably DK-weight lusciousness; alpaca, silk and wool. Beautiful color and so soft. Love it! I would have loved to take that class but had other commitments yesterday. 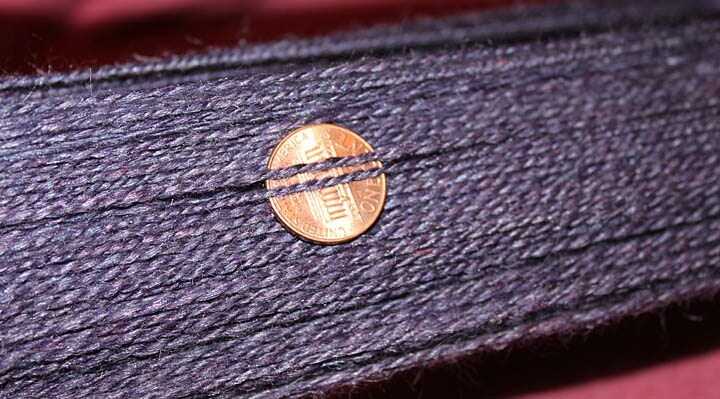 You're only using one color for the weft for both sides, right?